The third day of the People’s Democracy (PD) march took it from Maghera to Claudy. 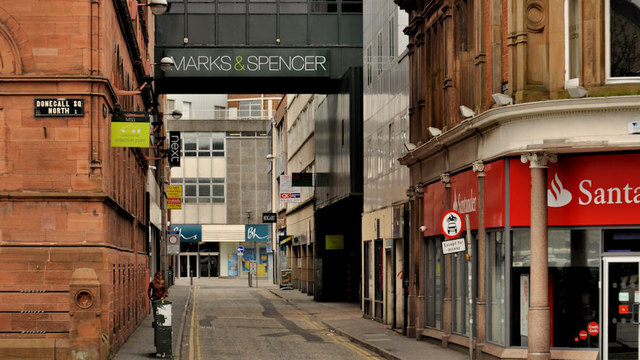 The Irish Republican Army (IRA) exploded a bomb in Callender Street, Belfast, which injured over 60 people. 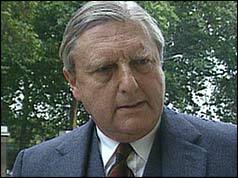 Pascal O’Hare, then a Social Democratic and Labour Party (SDLP) Assembly Member, resigned from the party because he believed the Anglo-Irish Agreement (AIA) secured the union with Britain and reduced the chance of a united Ireland. 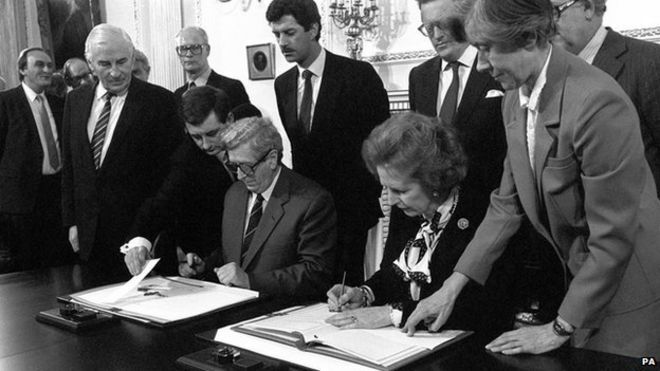 The Democratic Unionist Party (DUP) and the Ulster Unionist Party (UUP) organised a petition against the Anglo-Irish Agreement (AIA). Eventually 400,000 signatures were collected and the petition handed into Buckingham Palace on 12 February 1987. Two Catholic civilians were shot dead at their butcher’s shop in Moy, County Tyrone, by the Ulster Volunteer Force (UVF). Patrick Shields (51) and his son Diarmuid Shields (20), both Catholic civilians, were shot dead by the Ulster Volunteer Force (UVF) at Lisnagleer, near Dungannon, County Tyrone. There was a report in the Irish Times which indicated that the Ulster Freedom Fighters (UFF) were considering ending their ceasefire officially if the Irish Republican Army (IRA) continued to carry out attacks. Loyalist prisoners representing the Ulster Volunteer Force (UVF), the Ulster Defence Association (UDA) and the Ulster Freedom Fighters (UFF), voted to withdraw their support for the peace process. They expressed anger at the British government’s handling of the process and insisted that concessions were being made to Republicans. However, the political leaders of the Loyalist paramilitary groups insisted that the 1994 ceasefire was still intact. Marjorie (Mo) Mowlam, then Secretary of State for Northern Ireland, said that she would not resign despite calls from Unionists for her to do so. 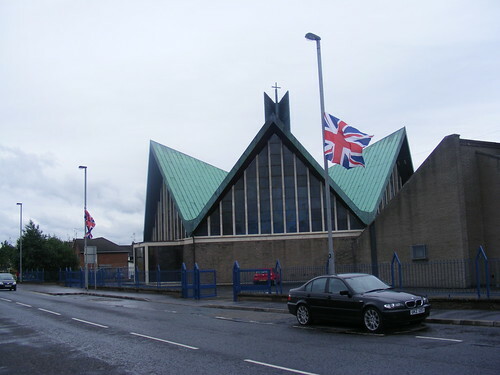 The gates of the Catholic chapel in Harryville, Ballymena, County Antrim, were rammed by Loyalists in a stolen car following Saturday night mass. This incident was one of a number since picketing began outside the chapel in August 1996. A building, used by a community playgroup, in the grounds of a Catholic chapel, were destroyed in an arson attack believed to have been carried out by Loyalists. 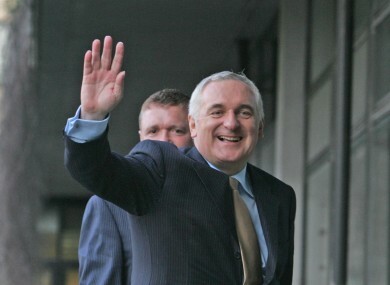 Bertie Ahern, then Taoiseach (Irish Prime Minister), said there should be a speedy resolution of the problems surrounding decommissioning. Royal Ulster Constabulary (RUC) detectives were reported as saying that they knew the identity of the people responsible for the Omagh Bombing but did not have enough evidence to bright them before a court. 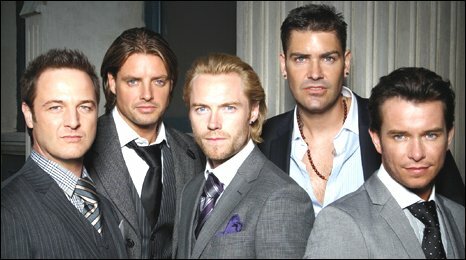 The Irish group ‘Boyzone’ held a concert in Omagh to help raise money for the fund established to help victims of the bombing. After the concert the band-members met with survivors of the bombing. The concert raised £20,000 for the victims’ fund. 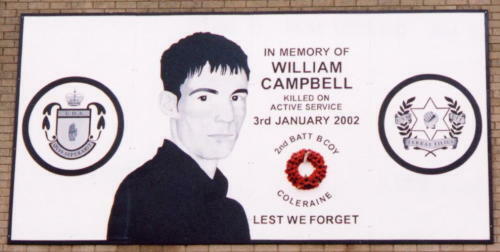 Loyalist Paramilitary Killed William Campbell (19), a member of the Ulster Defence Association (UDA), was killed when a pipe-bomb exploded close to a derelict house in Winston Way in the Heights area of Coleraine, County Derry, at approximately 11.30pm (2330GMT). Loyalist paramilitaries carried out a pipe-bomb attack on a Catholic family in north Belfast at approximately 9.30pm (2130GMT). A mother and her four children escaped injury when a “substantial explosive device” filled with shrapnel was thrown through the window of the living room. The explosion caused extensive damage to the house. The family were upstairs at the time of the attack. A pipe-bomb was defused outside the house of a PSNI officer in Annalong, County Down. The house had also been attacked on 27 April 2001. A man (39) was shot in the leg in a paramilitary ‘punishment’ attack in Newtownards, County Down. He was found lying in a laneway in the Scrabo estate. Police discovered 500 empty bottles in the Loyalist Tiger’s Bay area of north Belfast. 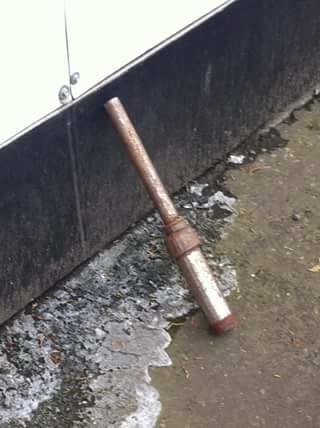 Police officers said they believe the bottles would have been used to make petrol bombs. Loyalists attacked the home of Danny O’Connor, then a Social Democratic and Labour Party (SDLP) councillor, in Larne, County Antrim. O’Connor’s car, and that of his father, were also damaged in the attack. The Social Democratic and Labour Party (SDLP) welcomed the proposals in the planned Bill of Rights for Northern Ireland. Alex Attwood, then SDLP chairman and justice spokesman, said that the proposals were “an opportunity for all and a threat to none”. He also said that the British government should not adopt a “minimalist” approach to the proposed Bill. Shot together with his nephew, at their shop, The Square, Moy, County Tyrone. He died 4 April 1992. Shot at his home / shop, Lisnagleer, near Dungannon, County Tyrone.